When it comes to helping your child to live a happy, healthy life, yearly checkups are crucial. Unfortunately, many parents avoid taking their children to the doctor if they aren’t sick, which actually causes problems in the long run. Bringing your child in for regular exams helps doctors to understand what is normal for your child, so that illnesses can be diagnosed easily. Here is an explanation of what to expect during your child’s next well check, why these appointments are important, and when to schedule your kid’s next exam. Although some parents assume that well checks aren’t really necessary, the fact of the matter is that well checks are designed to keep your child healthy. Here is what to expect when you bring your child in for a well check. Before you and your child visit with the doctor, a nurse or medical assistant will collect your child’s vital signs. They will wear a small, painless plastic device on their finger to measure their oxygen level, and their heart rate and temperature will be checked. Vital signs are taken to determine whether or not the child is well, and to help the doctor to diagnose issues during the appointment. Your child will also be weighed and measured during the appointment to determine their body mass index (BMI). These measurements are used to determine if your child is a healthy height and weight, and to see if they are following a normal growth curve. During your child’s appointment, you will be given percentile information for their height, weight, and head circumference to show you how your child’s size compares with their peers. 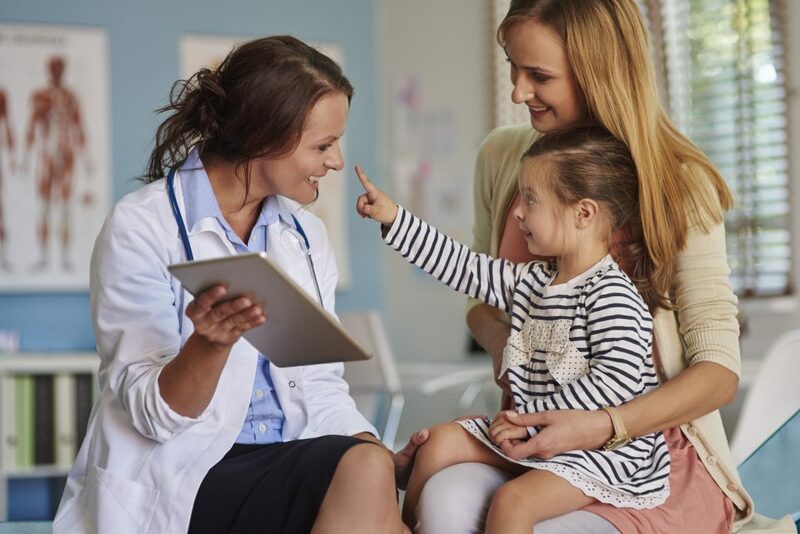 Your child’s health is a team effort between parents and their doctors, which is why the first thing your child’s pediatrician will do is talk with you about your concerns. Doctors will ask if you have any questions about their growth or concerns about their health. Next, your child’s pediatrician will conduct a thorough head to toe examination of your child. Your child’s ears, heart, lungs, skin, and eyes will be checked during their well exam. If you have raised concerns about their health, the doctor will carefully evaluate those areas of your child’s body to check for problems. One of the most crucial things that will happen during your child’s well check is immunizations. Immunizations are essential for safeguarding your child from a long list of serious childhood diseases, including mumps, measles, polio, rotavirus, and many others. If you have questions about vaccinations, we encourage you to discuss them with your child’s pediatrician in Layton. Well checks are not only essential for your child’s health, but they also give your kid the chance to interact with doctors and nurses when they aren’t feeling sick. For this reason, parents who bring children in for well checks often report a happier, healthier child who isn’t nervous around doctors and nurses. To make scheduling well checks easier, The American Academy of Pediatrics offers an easy-to-follow schedule for kid’s general health exams. Babies should be seen 3-5 days after birth, and then at 1,2,4,6,9, and 12 months. After that, toddlers should be seen at 15,18,24 and 30 months. By the time your child is 3 years old, they should come in once a year for a well check. If you are wondering when your child is due for their next well exam, don’t hesitate to contact our office. Our team would be more than happy to look up past appointments, set up an appointment, and explain your child’s vaccination schedule. Make your child’s appointment with their pediatric doctor in Layton today to protect their health.